RockRMS is a free, open-source relationship management software designed for churches and other organizations. FaithStreet integrates closely with Rock to allow giving on FaithStreet to seamlessly be transported to Rock's giving and people management. One great thing about using Rock alongside FaithStreet is the the time you'll save not transferring records from one system to another. 1. 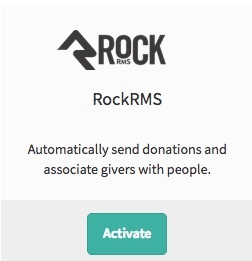 How are givers matched between RockRMS and FaithStreet? Givers are matched by two criteria. First, is there a Person on RockRMS matching the Giver's email address on FaithStreet? Second, is there a person on RockRMS matching the giver's first name and last name? If no match is found, a new person is created on RockRMS and matched to the giver. Once a person is matched, even if that person's name or email changes on either RockRMS or FaithStreet, the integration will continue to match correctly. 2. 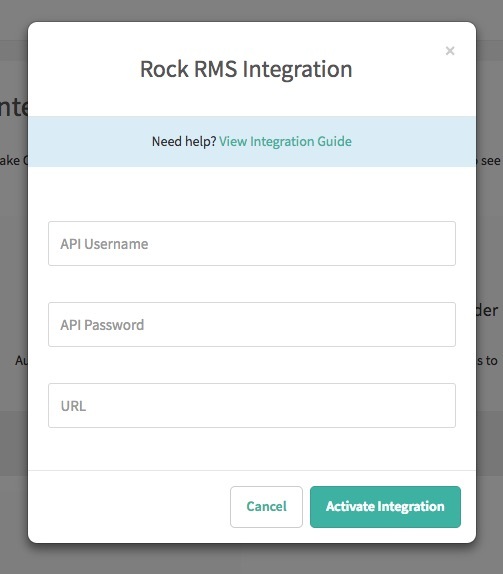 Will my past gifts be added to RockRMS once I active the integration? Only new gifts are migrated to the RockRMS. Past gifts are not added to remove the risk of duplicate gifts being created. 3. I have more questions about how this integration works or would like to see a feature added. Who do I contact? Open the contact form or email us at support@faithstreet.com.